Cold. Wet. Sloppy. Such is springtime in Montana. As the mountains slowly release from the depths of winter, feet of snow start melting off, feeding gluttonous rivers that rise from tranquil trout streams to raging torrents. Perfect conditions for testing a DownTek sleeping bag and insulated sleeping pad. 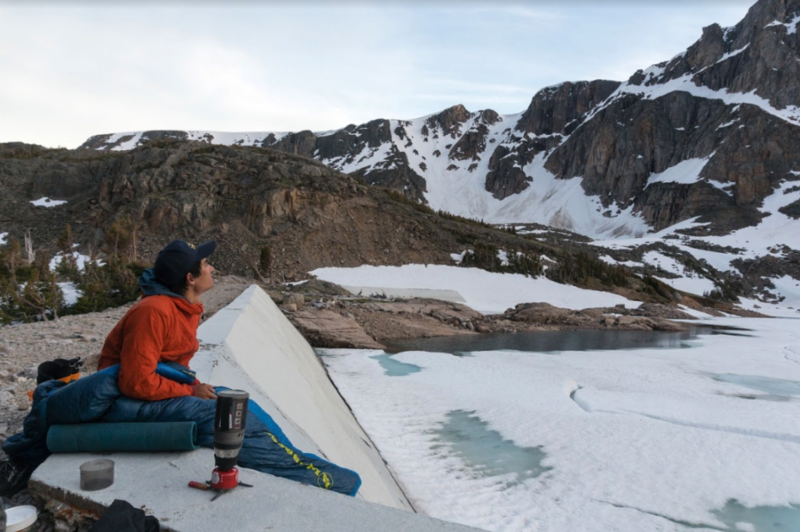 These were the conditions when I took the Big Agnes Skeeter SL 20 sleeping bag and Q-Core Deluxe sleeping pad out for a couloir climbing trip in the mountains, followed by a packraft trip down the Dearborn River. 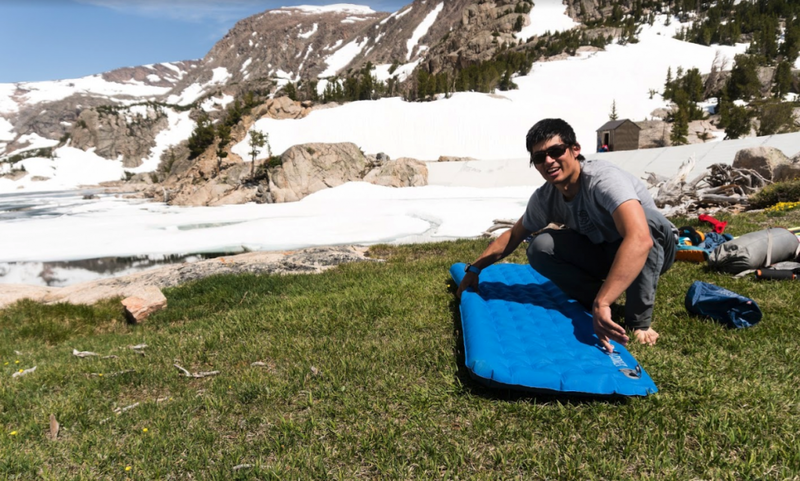 On the first day of my staff training trip in Montana this spring, my co-instructor and I arrived at a cold, snowy alpine lake to set up camp, and promptly pulled out the same sleeping pad, the Big Agnes Q-Core Deluxe. Next to us, our third co-instructor pulled out a Big Agnes Insulated Air-Core Ultra pad. 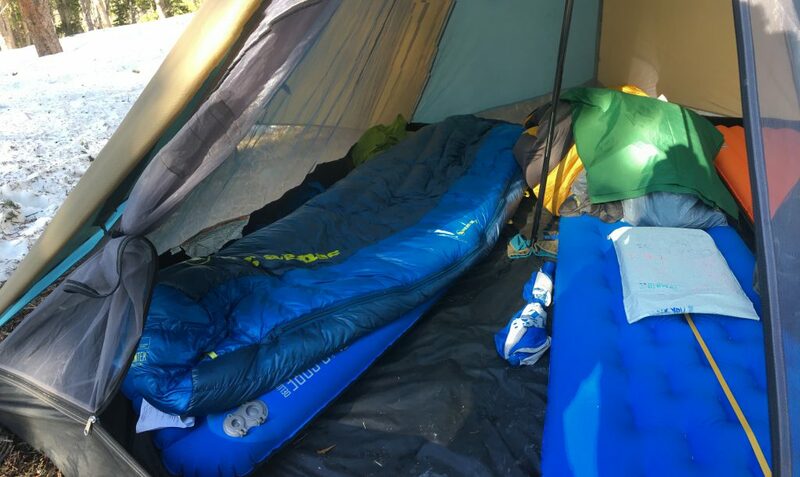 When three professional outdoor educators with over 1000 field days combined use essentially the same sleeping pad, there’s something to take note of. 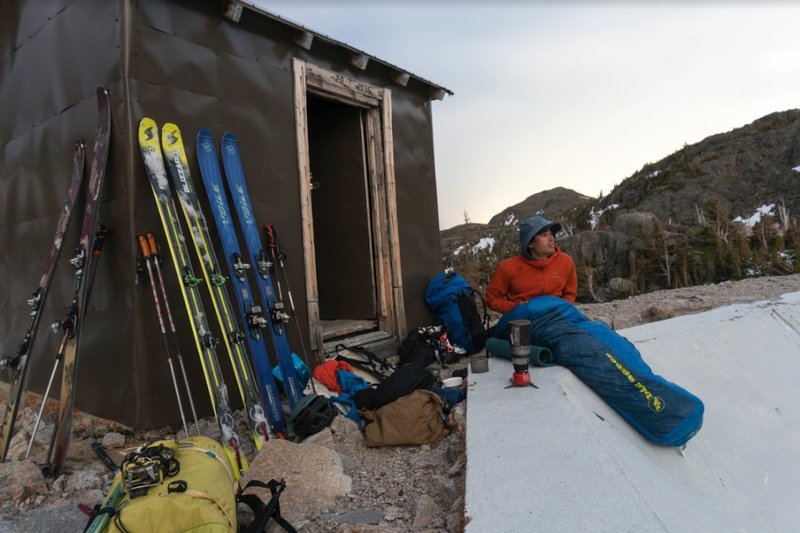 I’ve spent over 300 days in the field with students, sleeping on everything from a coiled climbing rope, a backpack, and nearly all varieties of inflatable sleeping pads. During that time I’ve also used everything from an ancient (originally) 20 degree down sleeping bag I got as a birthday present in high school to -30 degree expedition weight mummy sleeping bags. 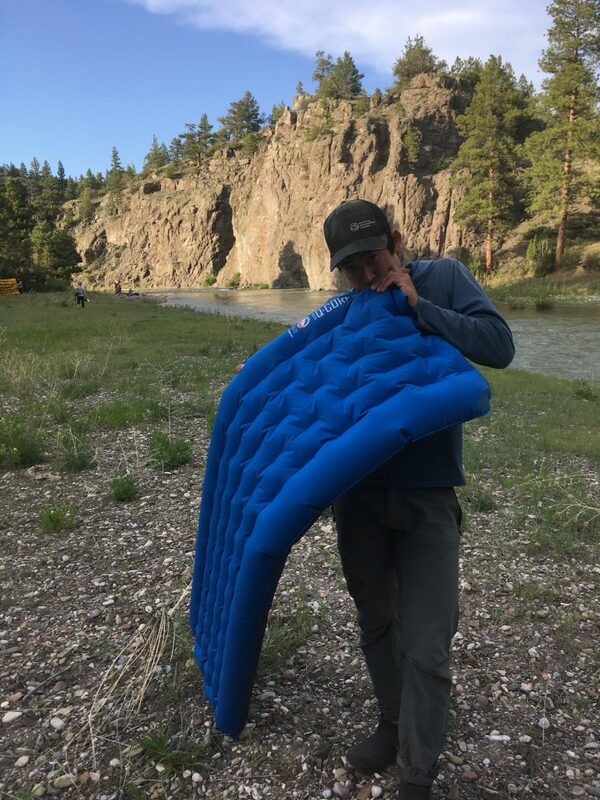 So when I unpacked the Skeeter SL 20 sleeping bag to find a detachable sleeve to house a sleeping pad only under the torso, I was excited to try out the system and compare it to my previous experience, especially paired with the Q-Core Deluxe sleeping pad. At 6’ tall, I usually fall right on the size delineation between a regular and tall length. This holds true for Big Agnes sleeping bags and pads. I opted for the size regular and didn’t find myself feeling cramped in the sleeping bag or slipping off the ends of the sleeping pad. Additionally, the “REM System” detachable sleeve kept my torso comfortably on the sleeping pad all night while still giving my legs freedom to wiggle around and kick my tent-mates (sorry Andrew and Eric). When unrolling and inflating the Q-Core Deluxe, I really appreciated the two-valve system that Big Agnes uses for inflation and deflation. The inflation valve is a one-way valve that is compatible with the Big Agnes Pumphouse Ultra air pump/stuff sack (which I didn’t test) to allow for even faster inflation than just by breath. I was still able to inflate the pad fully in only a minute or two by breath. On the flip side, a second open valve allows for super fast deflation when it comes time to break down camp. 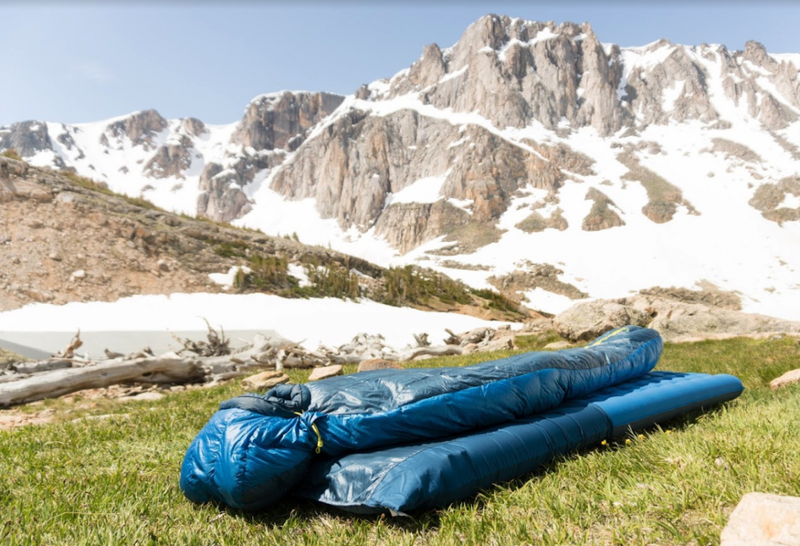 While neither the Skeeter SL 20 or the Q-Core Deluxe are the lightest or most packable sleeping bag and pad on the market, they’re both excellent lightweight options. The Q-Core Deluxe, in particular, stands out to me in its combination of insulation, comfort, and size. 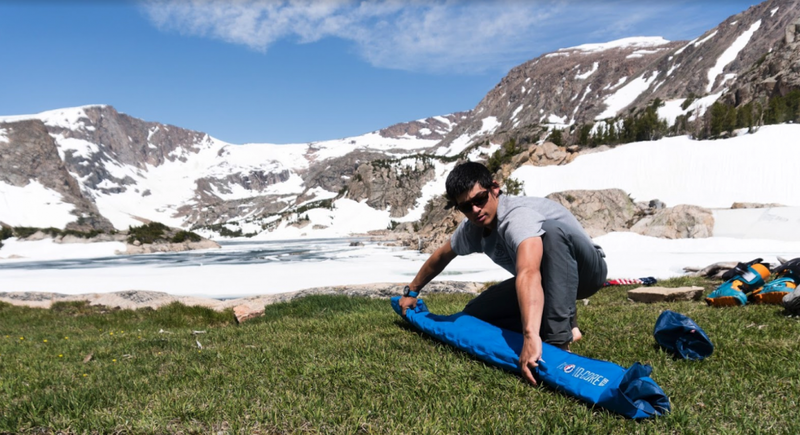 When compared to other insulated sleeping pads, the Q-Core Deluxe is one of the most comfortable pads I’ve used. The soft, stretchy top fabric on the Q-Core Deluxe is downright luxurious to sleep on. I’m also perfectly okay with the slightly higher weight because of the increased durability of the fabrics used. Super lightweight gear is nice for fast thru-hikes or alpine climbs, but tends to get trashed much more quickly than slightly heavier equipment. While a single season isn’t enough to really test the durability of a piece of gear, my first impression is quite favorable. The Q-Core Deluxe just feels more durable than a lighter weight pad, and sometimes that alone is enough to give a better night’s sleep. All that said, there are several small things I’d modify on the Skeeter SL 20 and the Q-Core Deluxe. On the bag, the hood and zipper baffles do an excellent job of sealing in heat at night. Almost too good. I found myself struggling at times to adjust the hood cinch cord as it’s located outside the hood collar. 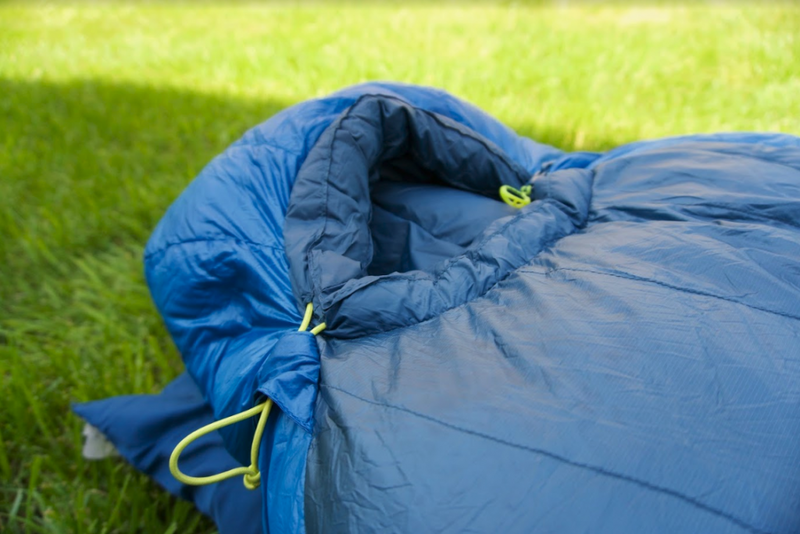 My preference is to have the drawstring on the inside of the sleeping bag so I can adjust the fit of the hood and draft collar without needing to squirm an arm out of the hood or unzip the bag a bit. I also like having a small zippered pocket by the hood so I can store things like a contact lens case or headlamp by my face instead of losing them inside the sleeping bag. The only thing I’d change about the Q-Core Deluxe isn’t actually the sleeping pad itself; rather it’s the stuff sack the pad comes in. The stuff sack is sized to just barely fit the sleeping pad when its folded into thirds and rolled up. Maybe it’s just me, but I find it much faster and easier to fold a sleeping pad in half and roll it up. This also produces a finished roll that tends to be narrower and slightly longer, a shape I find easier to pack into a backpack. 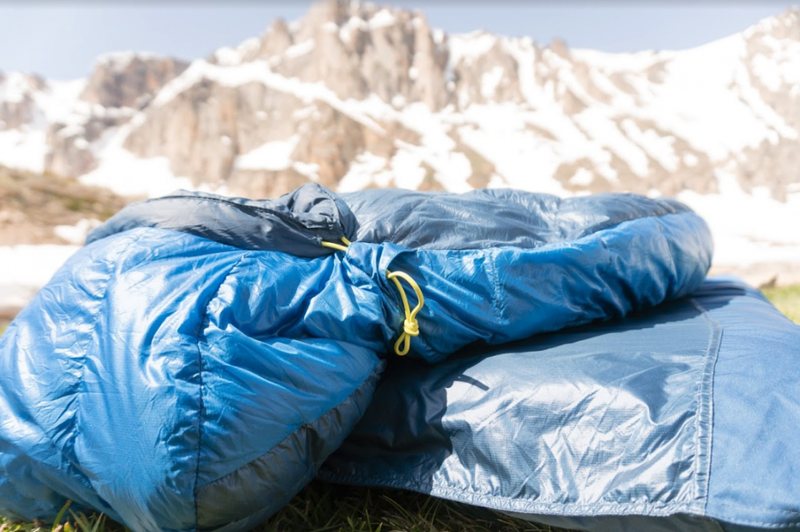 The Big Agnes Skeeter SL 20 sleeping bag is an excellent three-season option for those looking to cut weight without sacrificing comfort and warmth. It kept me plenty warm and stayed dry even through a sloppy and mushy snow camp and packrafting adventure. I do wish it had a couple minor tweaks, but overall, I think the Skeeter SL 20 is an economical, versatile sleeping bag for three-season use. 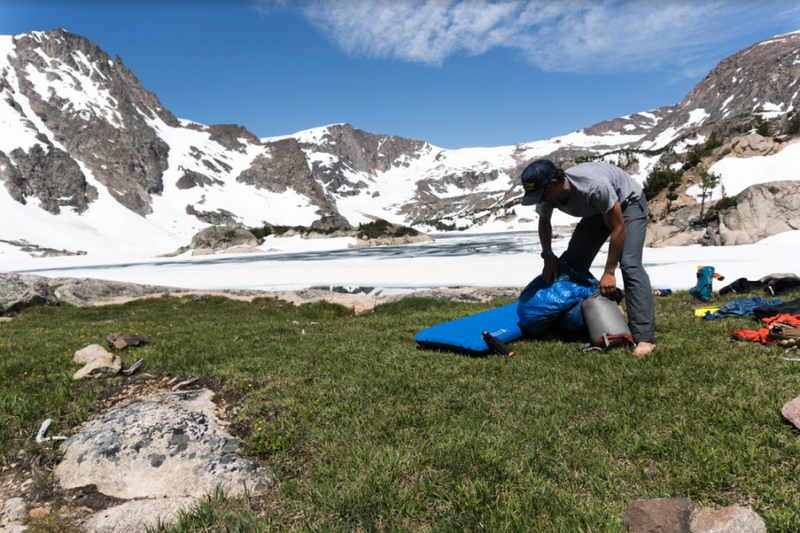 The Q-Core Deluxe sleeping pad certainly lives up to its deluxe modifier and holds true to the Big Agnes tagline, “The mother of comfort.” The pad is one of the comfiest I’ve ever slept on and the inflation and deflation valves are easy to use. 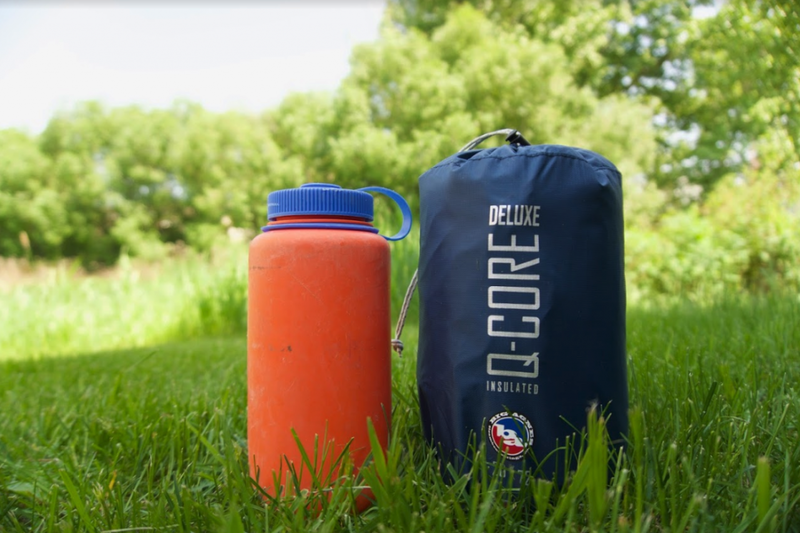 For me as a very warm sleeper, the insulation is almost overkill for most summer camping, and I would likely opt for an even lighter, un-insulated pad in the heart of summer, but for shoulder-season trips with cooler temperatures, the Q-Core Deluxe provides a wonderful night of sleep. I’d give both the Skeeter SL 20 and the Q-Core Deluxe four out of five stars. They’re both well-made products that give excellent value and versatility at a great price. 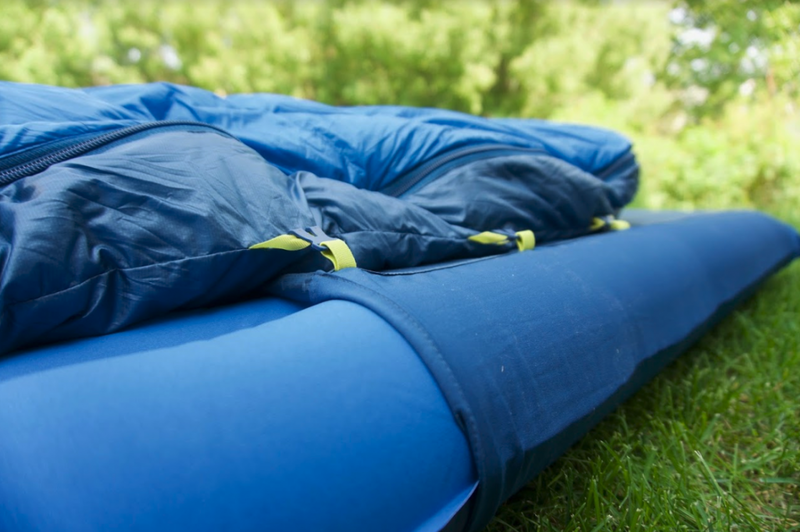 Shop the Big Agnes Skeeter SL 20 Sleeping Bag and Q-Core Deluxe Sleeping Pad on Outdoor Prolink. Not a member? Apply today! Matt Zia currently works as a field instructor and Expedition Wrangler (aka course supervisor) for the Montana Wilderness School, a small non-profit expeditionary school for teenagers based in Bozeman, MT. He has worn many hats over the years, including high school math teacher, ski instructor, and Outward Bound instructor. 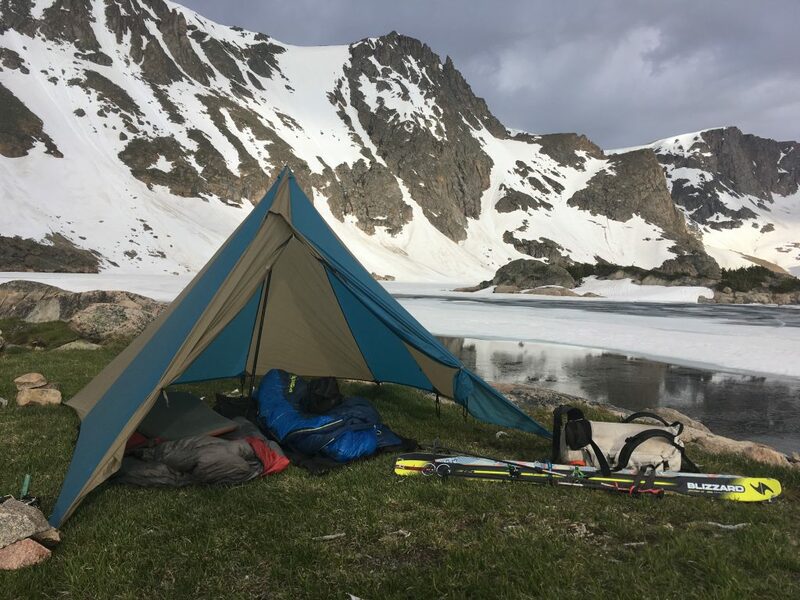 When not in the field with students, Matt can most often be found bushwhacking through the Montana mountains with skis and bear spray, wandering the Utah desert looking for splitter cracks, or improvising gourmet meals on his trusty Whisperlite camp stove.